We are leading Manufacturer and Supplier forSanitary Napkin Incinerator. We are offering our clients with the best-in-class range of Napkin Incinerator,Sanitary Incinerator, Fabricated by making use of supreme quality required basic material and components, these offered products hold several attributes such as longer service life, smooth operations and resistance against corrosion. Temperature monitoring: Digital controlled and indicator. ** Note:-The content of the product and specification are subject to changewithout prior notice for continuous improvement. 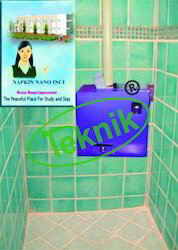 Sanitary Napkin Incinerator is the smallest incinerator. Sanitary products for personal hygiene, it incinerates un-hygienic pads/napkins.It commonly used in Girls Hostel, Girls Colleges, Ladies Toilets, Hotels, Malls etc. 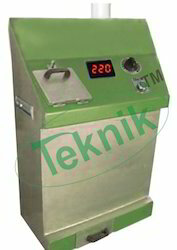 It is automatic sanitary napkin destroyer with high efficiency of reliability proven through performance.It is very useful for ladies toilets to get a pollution free hygienic environment.It destroys sanitary pads/napkins within few seconds and converted into a sterile ash.The incinerator reduces most combustible solid waste to nearly 2-3 percent by volume and 5percent by weight. ** Note:-The content of the product and specification are subject to change without prior notice for continuous improvement. 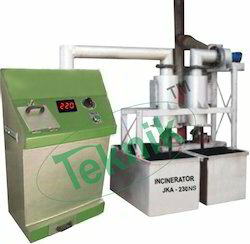 We are leading manufacturers and suppliers of Napkin Incinerator. These are automated machines that switch off by themselves once the process gets over. The process takes very little time and results in a residue which is barely five percent of the input. The scrubber filters the exhaust stream. It is electronically operated and is highly power efficient. The machine is designed to provide long term service. 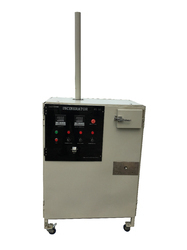 Looking for Sanitary Incinerator ?